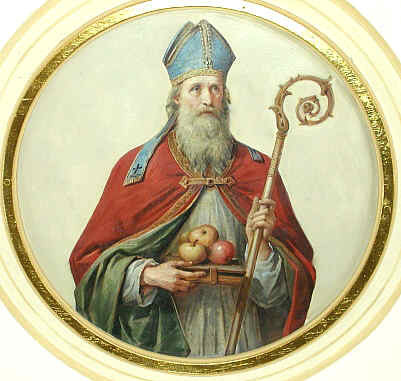 To Europe With Kids: Happy St. Nick's Day! 2) more in relation to my blog, it’s relevant to be knowledgeable of others' customs and traditions when you travel. 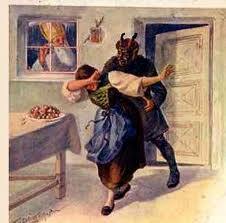 St. Nicholas Day has been widely celebrated in Europe since the Middle Ages in honor of children. The customs became a little muddled though when, during the Protestant Reformation, Germany’s Martin Luther decreed that the Catholic saints should not be glorified, but rather the Christ Child would bring the children gifts, not on December 6th but on Christmas Eve. The Catholics at the time responded by keeping both traditions. 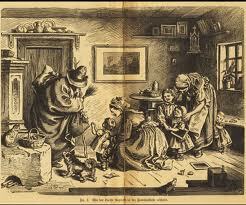 Today, Germans and other Europeans celebrate St. Nicholas Day and Christmas Eve in the manner of their own faith and custom. I have to send this post to Jason, as his family always celebrated St. Nick's night- that is, the leaving gifts part, not the flogging children part! Makes sense as his family is German descent on both sides. I can't get over your mom's childhood memory of her brother!